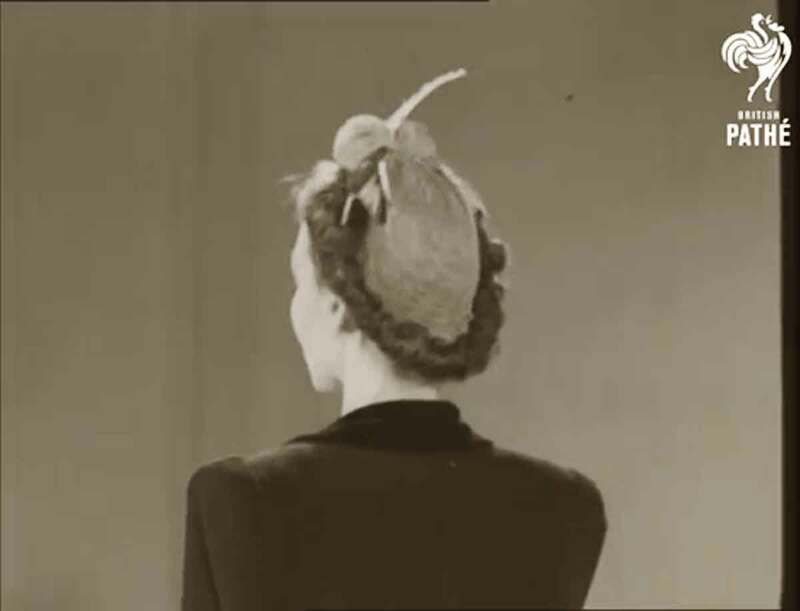 If you want a new hat, now that hats are rationed, there are ways and means. Turbans are the means and Anne Edwards – fashion editor of Woman shows us some of the ways. 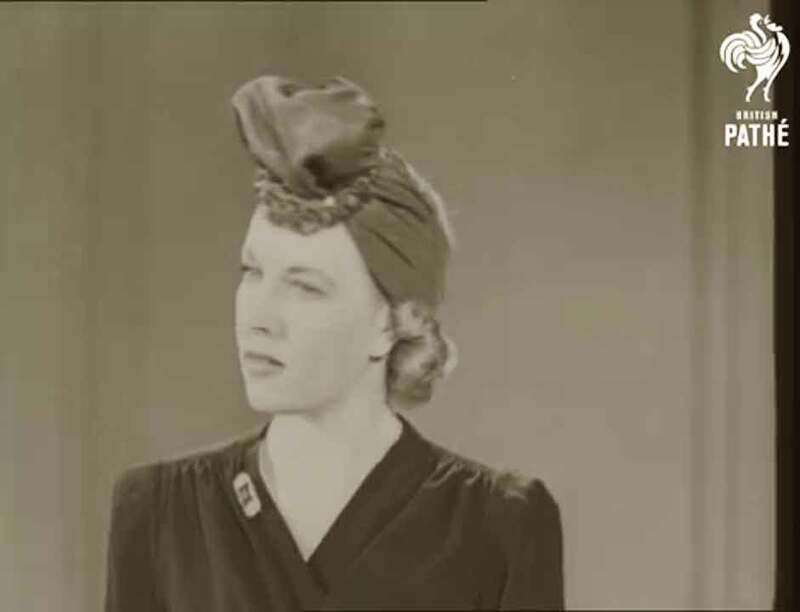 Method 1: Having tied the knot on top of the head, you can see how easy it is to tuck in the sides. 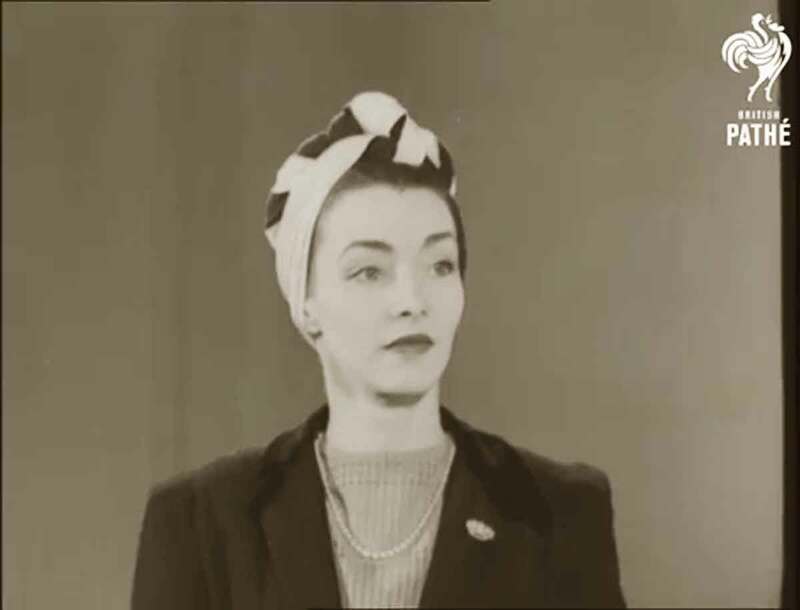 All you need for this model is one simple straight scarf. By way of decoration, what’s wrong with a bunch of flowers pulled through the knot? Method 2: Now with two scarves, you can be a little more ambitious. 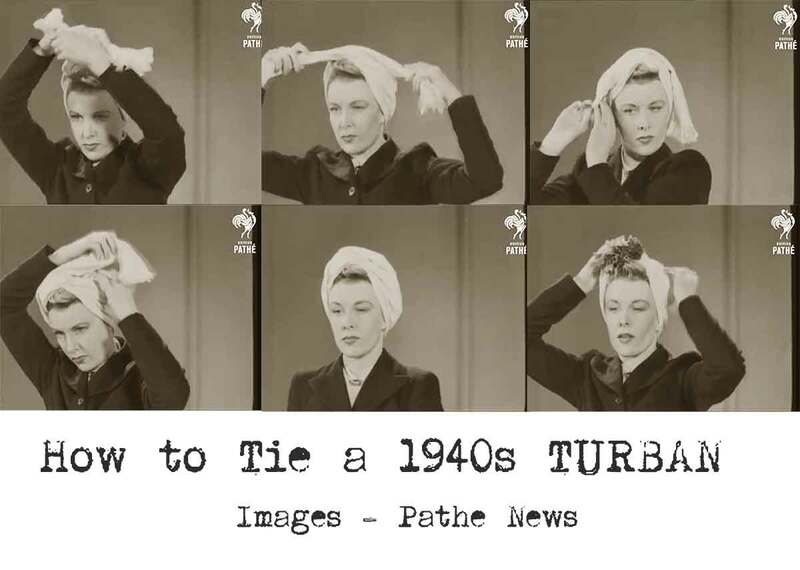 You start with the knot on top as before and roll and tuck in the ends. 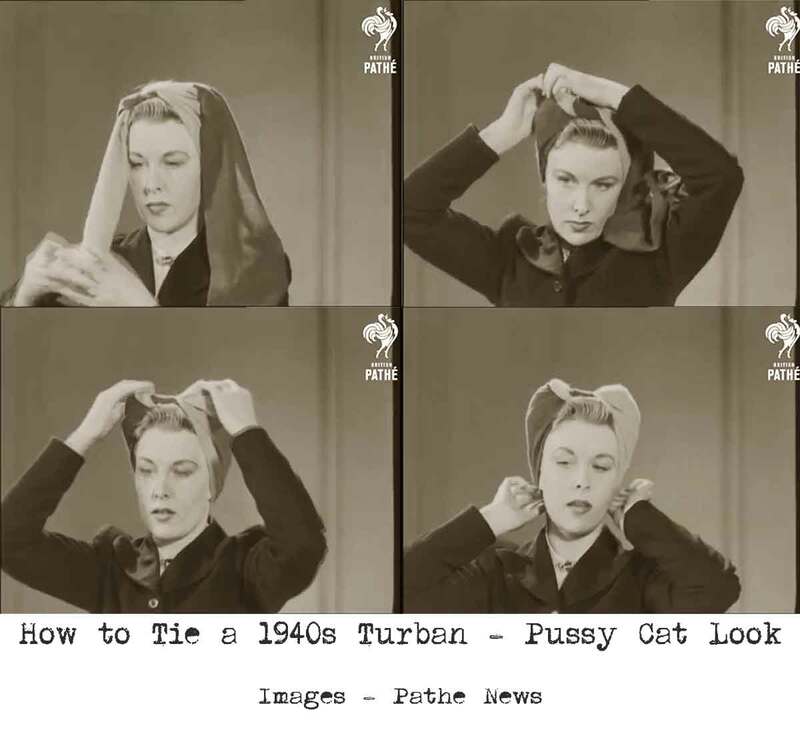 The result – a snazzy little pussycat. Method 3: Another idea with two knotted scarves. This time with the two ends bunched into two soft puffs and pins. Pretty isn’t it ! 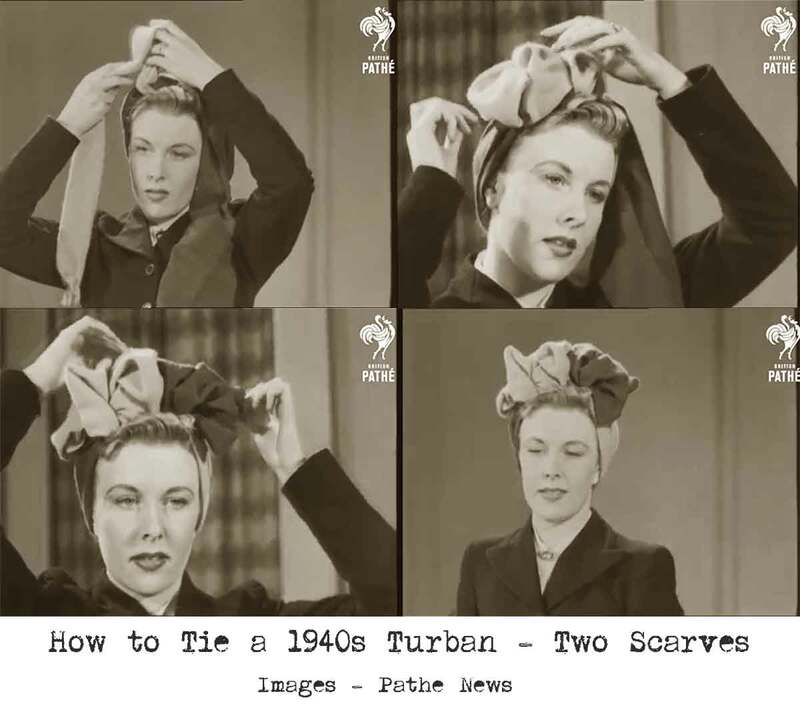 With a little practice, there’s no end to the variety of turbans a girl can achieve with one or two simple little scarves. 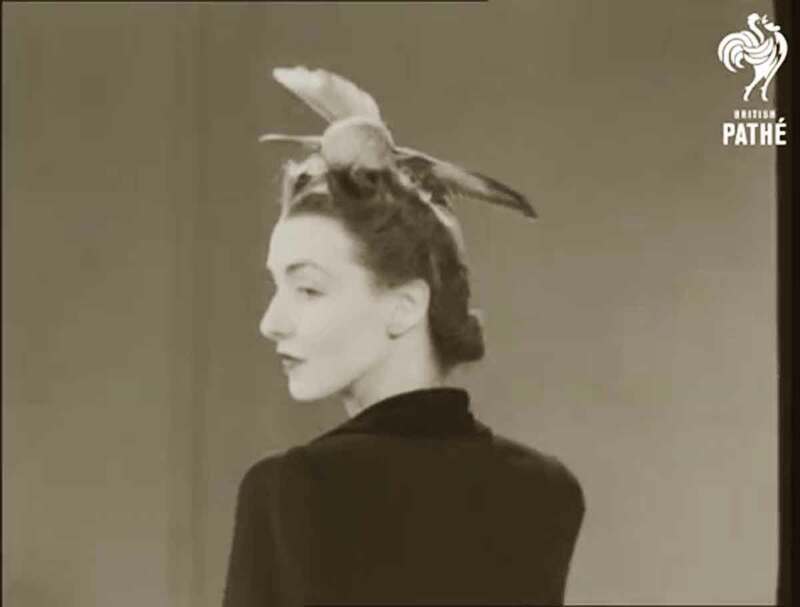 You can also stab the knots with some feathers or twist one of the scarves into a sort of beehive and tip it over at a tricky angle. And what a novel use for a bracelet ! 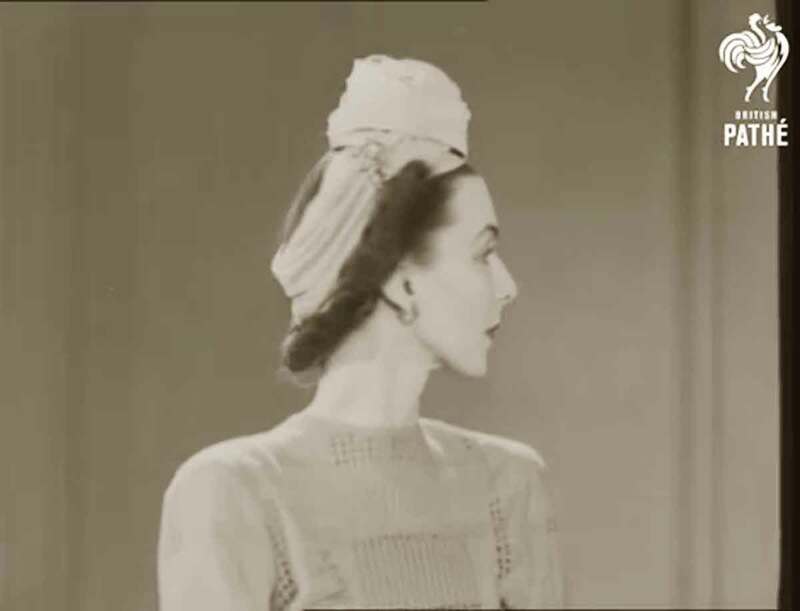 Also – do have a look at Vintage Hairstyles with Scarves from one of my favourite YouTube vintage style bloggers, the beautiful Lilly Jarlsson from Hamburg. You’ll become addicted to Lilly !